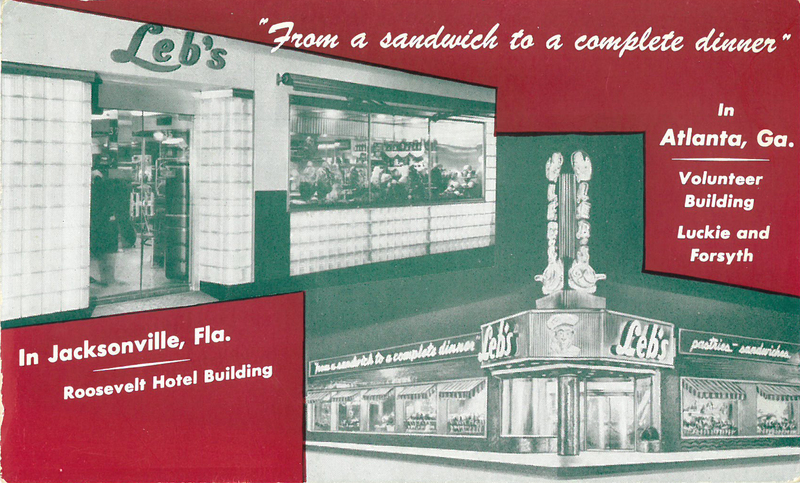 Leb's Deli was located on the corner of Luckie and Forsyth Street and was owned by Charles "Charlie" Lebedin. On July 18, 1962 a full-page newspaper add invited "come one, come all" to an open house celebrating 13 years of business. A small group of African Americans and white "stood-in" for 3 hours outside the restaurant but were refused service. Lebedin said he would serve African Americans when other downtown restaurants did so. He also said he did not think they were being fair to make him a "guinea pig." Leb's restaurant was also the scene of demonstrations during the summer of 1963; it finally integrated in 1964 after the passage of the Civil Rights Act. PLEASE NOTE: Leb's Deli no longer exists. For directions to its former site, view the map above.